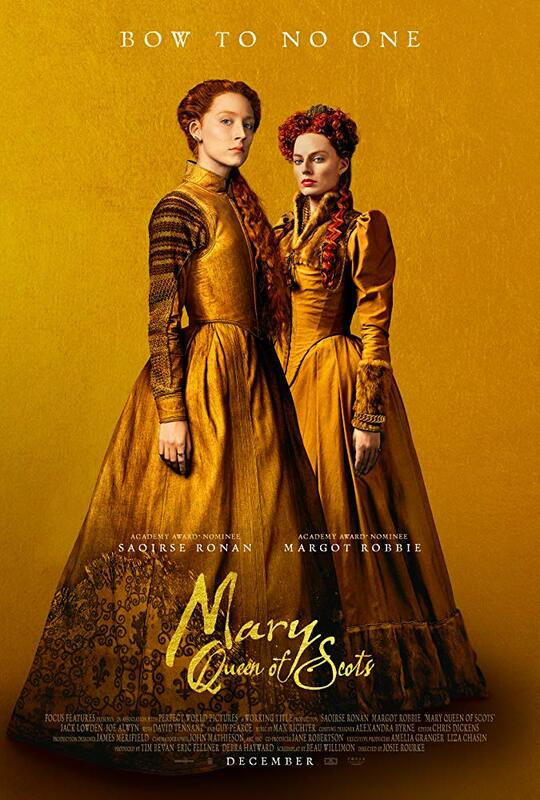 Following the death of her husband, the Dauphin of France, Mary Stuart (Saoirse Ronan) Queen of Scotland returns home to lead her people to religious freedom and hopefully a united Scotland and England; but, cousin Elizabeth I (Margot Robbie) and her council have thoughts otherwise. Staying steps ahead of her opponents will be a match of wits and military intelligence, how exactly will she stay in the game, and for how long? Directed by Josie Rourke and Written by Beau Willimon and John Guy, this biopic recounting of history no doubt takes some liberties with the actual events depicted but none the less makes for an interesting shelf mate to Yorgos Lanthimos’s The Favourite, although from a significantly less humorous perspective. Performances from both Ronan and Robbie are inspired, as if 2018 wasn’t already overstuffed with strong female performances, here are two more to add to the pile. Notable care and attention to production design and costuming make this smorgasbord for the eyes even more complete; and, running two hours and four minutes welcomes are not overstayed. Worthy of your matinee dollar and attention, Mary Queen of Scots is rated R.